1. a muscle called LPS (Levator Palpebrae Superioris) is not attached to skin in these persons. 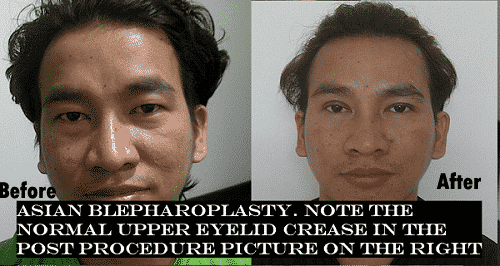 2. there is more fat in the upper eyelid which prevents the fold from happening. 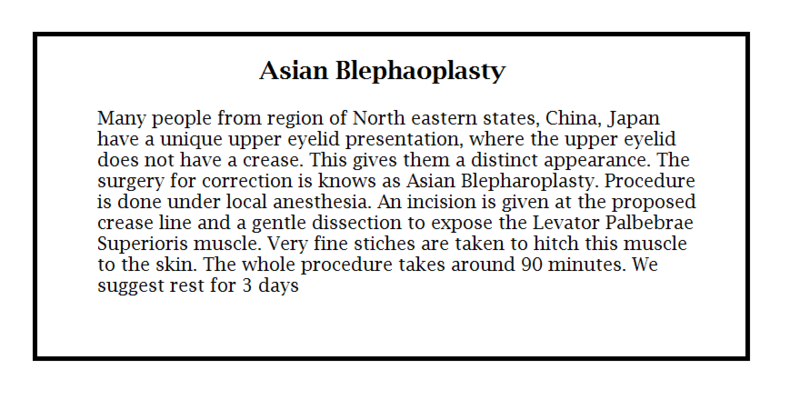 The treatment is with a simple surgery of Double eyelid fold creation, which is done as a day care. The fold is made to look perfectly natural with virtually no scar. There is minimal downtime, and patients can go tot work as soon as the next day.